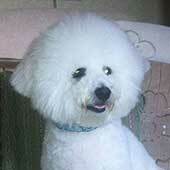 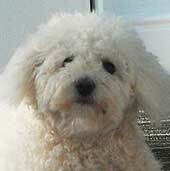 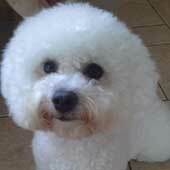 Welcome to our 'Spot My Bichon' page. 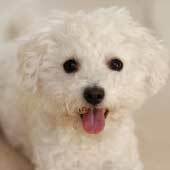 We know there are hundreds of Bichon owners out there and we would like to give you the opportunity to show off your beautiful girl or boy here on our website. 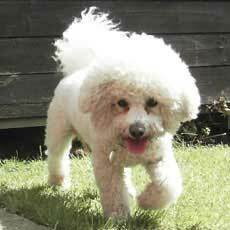 As this page grows we can all play 'Spot my Bichon' and see if you can still find your dog when it is pictured next to hundreds of others. 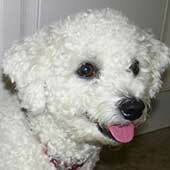 Let's see how many Bichon pictures we can fit on one page! 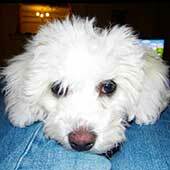 It's easy to add your Bichon to this page simply email us a picture and we'll do the rest, you should see your picture on here within 24 hours. 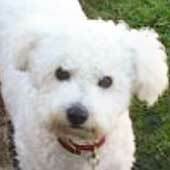 We won't add any names to the pictures so it makes it a little harder for you to 'Spot your Bichon' - we will also crop into the pictures as close as we can so the backgrounds don't give too much away. 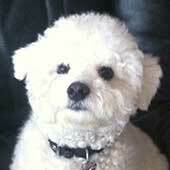 We really look forward to seeing your pictures and seeing the different features of each dog, maybe we should call it a Bichon Comparrison Site! 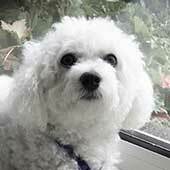 We hope you enjoy taking part and we're guessing that no matter how many pictures are shown here you'll never lose sight of your Bichon because every Bichon is special and every Bichon is unique!